Things are a little crazy around here right now (as I'm sure they are for many of you)! I've started to feel a bit stressed about the growing pile of books that we haven't reviewed yet. Two of them are ones that Z and I enjoyed together at bedtime so I will quickly mention those today. Bunnicula: A Rabbit-Tale of Mystery by Deborah and James Howe was one of my childhood favorites and I couldn't wait to share it with Z! The book was written in 1979 so it wasn't very old when I read it but luckily it has held up well and, not only did I have a great time reading it again but Z thought it was fun too. I loved the different cat and dog points of view and Z really liked the mystery surrounding the little bunny. 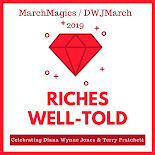 I read the next two books in the series when I was a kid but I think there are four or five sequels now so we will have to work our way through them all. Luckily this isn't just a fall/Halloween series! Frankie Pickle and the Closet of Doom by Eric Wight is one that we picked up at last year's book fair. I know Z looked at it a bunch but I wasn't sure that he had ever read the entire thing. This book is about 2/3 chapter book, 1/3 comic. When Frankie starts imagining an adventure, it comes to life in graphic detail. This was a really fun story with a nice "clean your room or else" message. We will definitely get the next two books in the series when they are available in paperback. And isn't Frankie just adorable?! Right now we are finishing up The Invention of Hugo Cabret. I can't wait to share our thoughts with you on that one! Yes, things are crazy round here, too, I'm down to reading just one book at a time. Bunnicula looks fun! But not one my children discovered when they were younger, which is a shame they missed out on it. oh man! It's been years since I thought about Bunnicula! I bet it's so fun to revisit these childhood favorites with Z.
Tracy - I'm reading maybe one book a week or longer. It's strange and hard to keep the blog going when I don't have new content very often! Bunnicula is definitely a good one. I'm surprised there was never an animated film based on it. Trish - It really is! Sometimes the books don't quite live up to the memories but this one did. You're going to have fun reading with your little cutie! 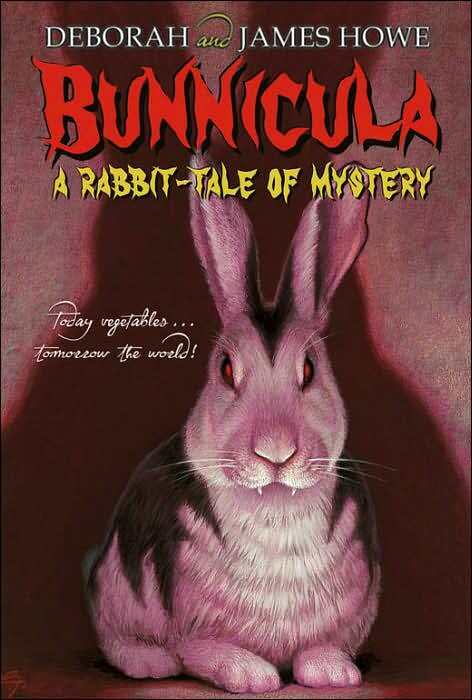 I must check out Bunnicula! That looks equally scary and funny! Jenners - Have you not read Bunnicula?! You know, I think that your son would like it because it's not really that scary. It has suspense but no scares.